First time online shopping customers. 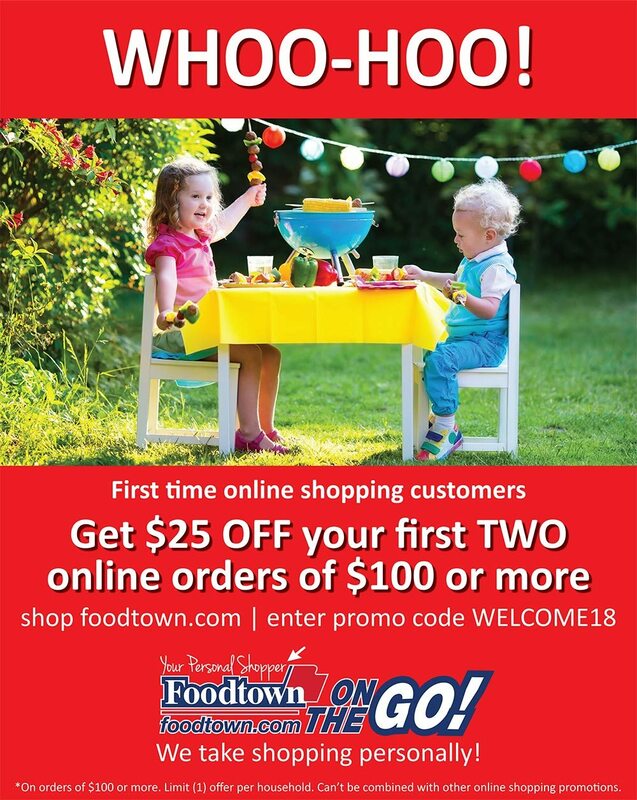 Promo code valid only at Foodtown On the Go locations. Must use Club Card. Cannot be combined with other offers. Order total minimum excludes taxes, service fees, alcohol, tobacco, and other items prohibited by law. No cash back will be given. Promo code is required on order at time of placement. Valid 1/5 thru 12/31/18.